Getting a print you’ve been hankering after is awesome but I often leave it rolled up languishing for months while I find a frame that’s the right size or design or whilst I save up to get it professionally framed. 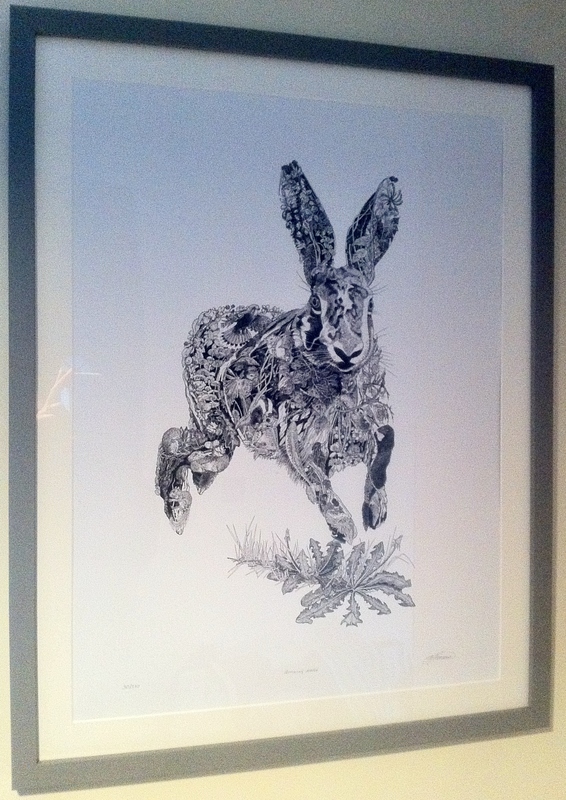 Too mean to pay a professional and not able to find exactly what I wanted in the shops I turned to EzeFrame. I generally avoid companies with incorrectly spelled names, even as a child ‘Toys R Us’ annoyed the hell out of me and with a backwards R! How is a child meant to learn to spell with that kind of influence?? Anyhow… it turns out EzeFrame are very good at what they do. They have a wide range of frames, mounts and glass and if your picture isn’t a standard size you can enter the dimensions on their website and they’ll custom make you a frame and mount. You can even upload an image of your picture to see how it will look in the frame before you buy it. Their prices are really reasonable, I’ve just ordered a frame and mount for an A3 size print for a little over £13. The quality is good, it’s not quite as high as frames I’ve had done by a more expensive professional framer but once it’s on the wall the difference is unnoticeable, to me at least. 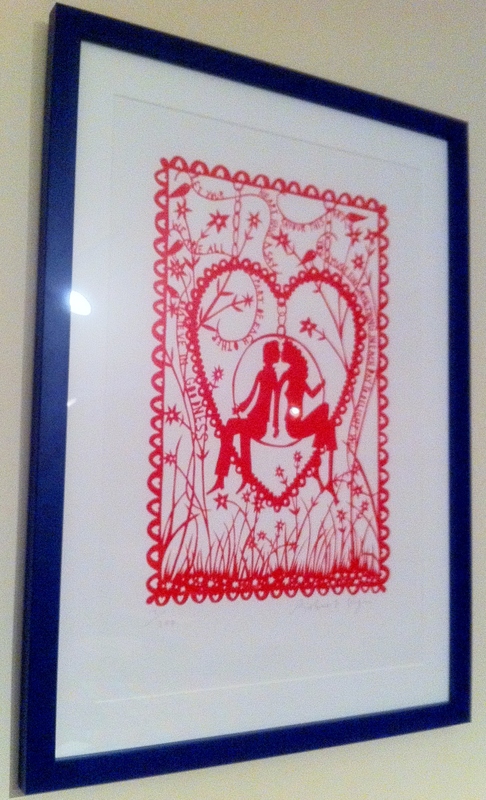 …and my treasured ‘Believe in Goodness’ print by Rob Ryan.